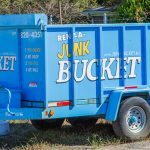 Most Dependable Dumpster Rental Service In Forest Hills, TN – Junk Buckets! Getting rid of junk can be a pain. It’s a pain mentally trying to organize what you want gone (we just ‘know’ when things need to go when we start to feel cluttered). It’s a pain physically moving and hauling junk and most of all it’s a pain on ‘HOW” to get rid of junk and other unwanted items. How do you transport it? How do you dispose of it? How much will it cost? How much time will it take? These are all valid questions that a lot of home owners and business owners alike share. Don’t worry though, because if you live or work in the Forest Hills, TN area, then we have the perfect solution to your junk and clutter issues; The Junk Bucket Dumpster! 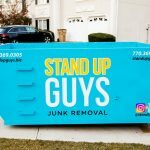 Junk Bucket Dumpsters make the entire junk removal and disposal process simple for you. We simply place an empty baby blue Junk Bucket Dumpster wherever you like, then you fill it up. Yup, that’s it. 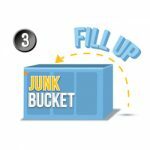 All you have to do is take your time and fill up the Junk Bucket at your own pace. Once you finished filling it up, just give us a call and we take care of removal and disposal. We manage all the hard stuff, while you simply get rid of the clutter you want. See, perfect solution to your junk issue! The process of renting a Junk Bucket Dumpster in Forest Hills is a breeze. 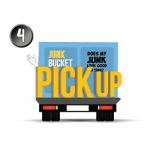 All you have to do is give us a call at 615-647-0634 and let us know when and where you need a Junk Bucket and we take care of the rest. 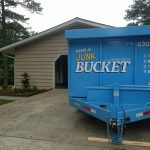 One of the main reasons that Forest Hills has fallen in love with Junk Buckets over the years is simply because we deliver on what we say. 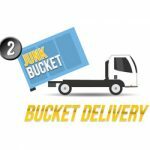 We will deliver your Junk Bucket when you ask and pick it up when you need. This goes a long way when you are on a schedule and need to get things done in your own timeline. At Junk Bucket YOUR timeline is OUR timeline. 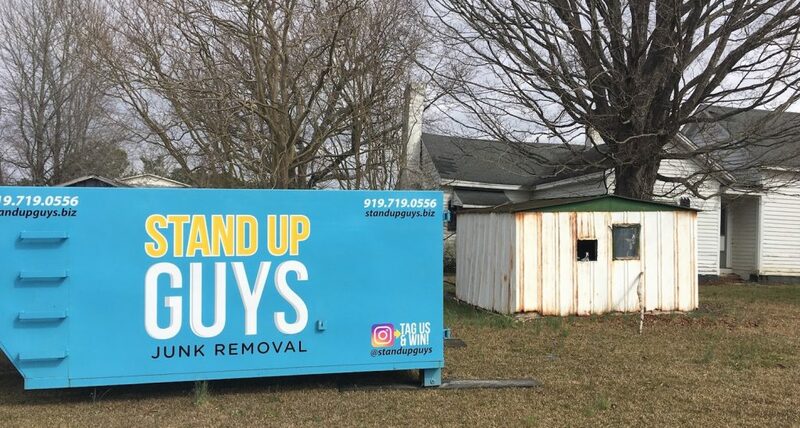 The people and businesses of Forest Hills has fallen in love with the Junk Bucket for another reason too. It might sound conceded or vain, but Forest Hills residents love our Junk Buckets because of their beauty! Our ascetically pleasing, beautifully designed, baby blue dumpsters are all the rage when in a neighborhood. All your neighbors will be jealous and want one for themselves. This 15 minutes of fame that our customers get is just another reason why they love us! 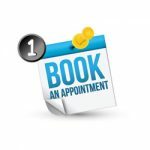 We enjoy what we bring though, we want all our customers to get their 15 minutes!